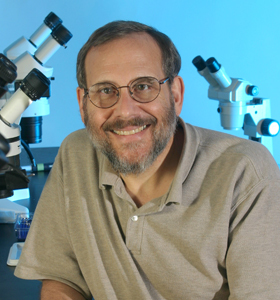 Professor of Molecular and Cellular Biology Joshua Sanes will speak at Harvey Society’s lecture series on November 15 at 8:00 PM at The Rockefeller University in New York City. Sanes’ lecture is entitled Wiring Up the Retina, and addresses several key questions in neuroscience: how are complex neural circuits assembled in young animals and how do they process information in adults? The Harvey lecture series is one of the most distinguished in the country and the annual books of the lectures are well known throughout the world. The Society’s Council selected lecturers from among the leading biomedical researchers worldwide. The events are held at Caspary Hall on the campus of The Rockefeller University at York Avenue and East 66th Street in New York City.